As a hometown of famous poets and writers, the Tuscan town of Arezzo is made for special stories. Or for unique and individual rural-themed weddings such as that of Francis and Lena. 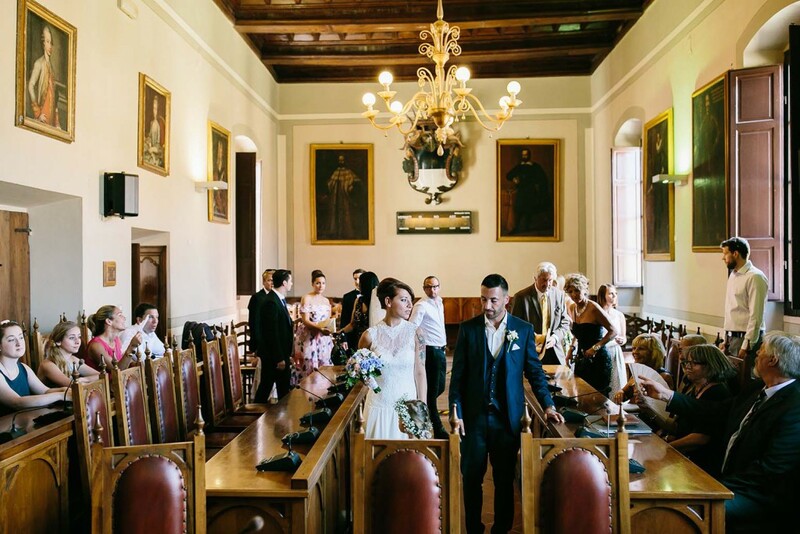 During a one-week summer holiday with friends and family, Lena and Francis said yes at a civil wedding ceremony in a small picturesque village near Arezzo. Scarcely any other Italian region is as diverse as Tuscany. And so Francis and Lena, with their 25 guests, chose a package for a one-week stay in a rustic holiday home for their wedding. There are a variety of rustic country houses or even fine villas, in the Tuscan hills, which, besides sufficient space for all the guests, often also provide unique facilities with a pool and large garden. These houses are just right for summer weddings like that of our bridal couple. On the wedding day, you can relax a little by the pool, for example, between the wedding ceremony and evening celebration. 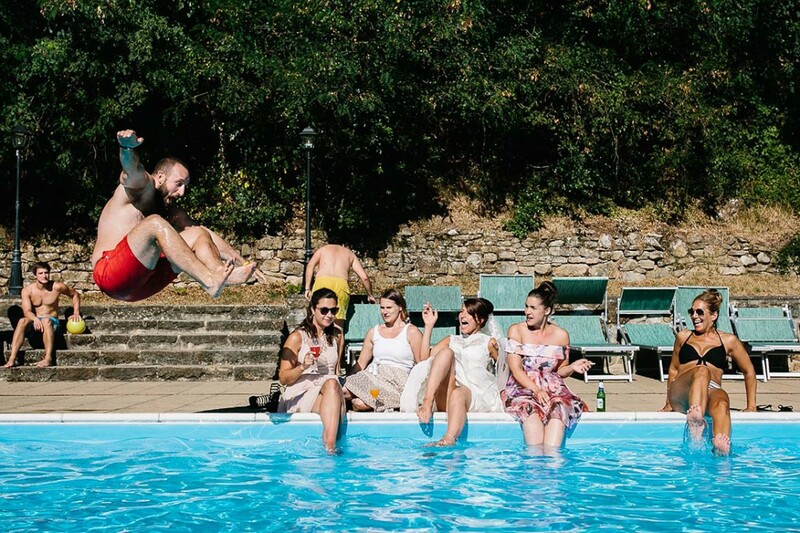 While Francis and Lena posed for their wedding photos, their guests could enjoy a cool refreshment from the hot Italian temperatures in the on-site pool. 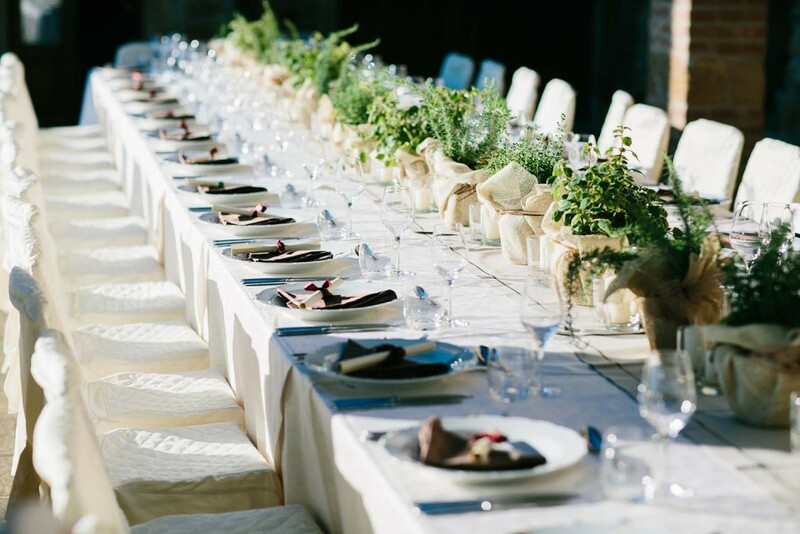 After the civil wedding ceremony in the nearest idyllic Tuscan town, followed by a refreshing aperitif in the town’s piazza, the true wedding festivities began in the villa’s courtyard in the late afternoon. 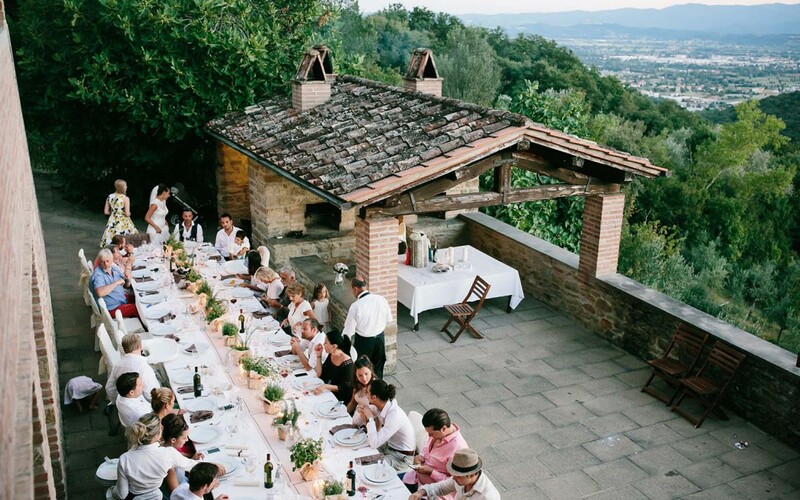 Francis and Lena gathered their guests at a chic rustic table, for an awaited genuine Tuscan menu. Delicious treats from the oven and local foods were available. While the sun was sinking behind the Tuscan hills, Francis, Lena, and the wedding party were still celebrating, eating and dancing deep into the evening hours. Just like a big Italian family wedding – pure Dolce Vita. As a professional wedding planner, we guarantee you a service with attention to detail so that your wedding will be an unforgettable experience. For this, we organise a complete wedding, accommodation and excursions package for you. 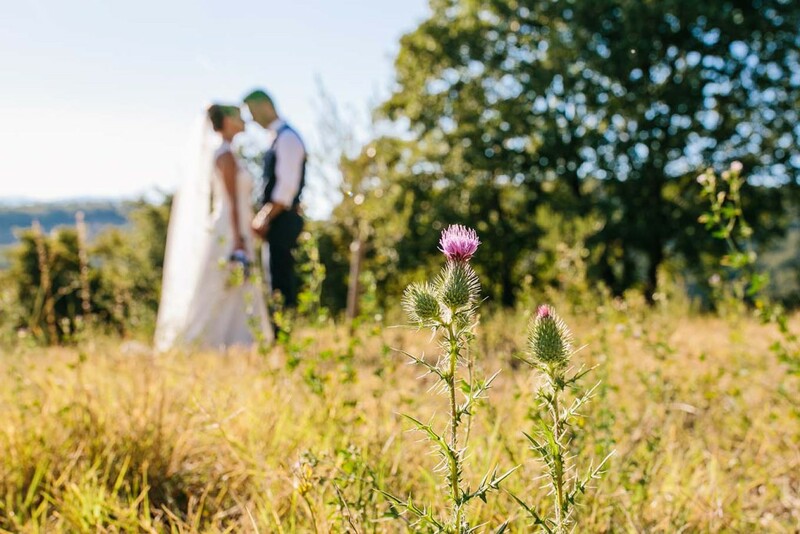 Our favourite package is a country wedding in Tuscany including accommodation made for you and your guests in one of the unique country houses in the Tuscany hills combined with a unforgettable wedding ceremony & wedding reception.